Bring your favorite dessert to share! 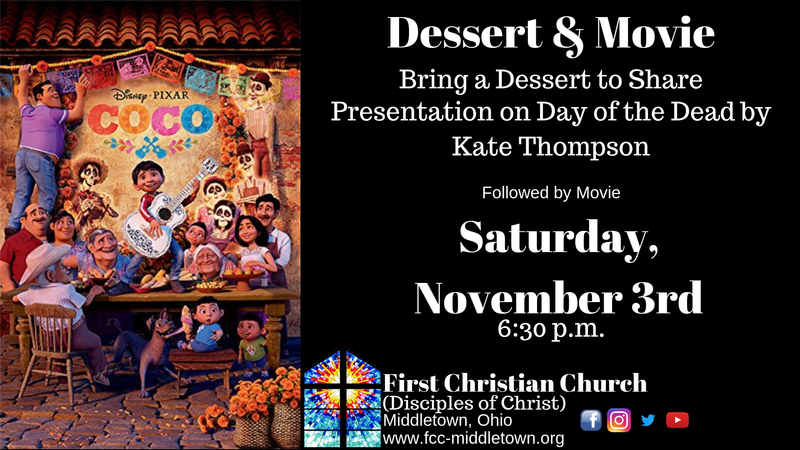 celebration of the day of the dead…followed by the movie, Coco, a movie for all ages. It will be a great night before our All Saints Day celebration on Sunday November 4th.